If there are so many negative things about Pakistan then positive things are also not less and one of those positive thing is increasing use of Internet in Pakistan's every Village, Town and City. 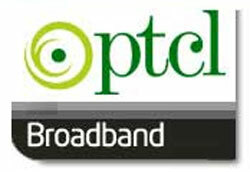 PTCL announced earlier this week that their Internet Broadband users has crossed the limit of 1 Million recently. PTCL launched Broadband Internet in Pakistan in 2007 and in last five years they have got over one million users that are growing day by day. There are many Private Internet companies as well in Pakistan providing Broadband Internet like Wateen, Link Dot Net and Wi-Tribe. The total number of Broadband Users in Pakistan is 1.9 Million which means more than half users are using PTCL Broadband. the reason of PTCL popularity is better speed and less rates as compare to private companies.